These grapes were grown, picked and vinified within Oregon's Willamette Valley. I have a Pinot Noir vine in my backyard in New Orleans. The only tangible thing it produces most years is a generous helping of mildew. This is not Pinot Noir terroir. If I was to order a ton of Pinot Noir from a vineyard in Oregon's Willamette Valley, have it shipped here and vinify it in my office, could I label the resulting wine Willamette Valley Pinot Noir? After all, that's where the grapes were grown. The answer is no. Federal rules state that if you want to put an appellation like Willamette Valley or Russian River Valley or Santa Lucia Highlands on your label, you can't just buy grapes and fly them cross-country. You need to make and age the wine in the same state. The only geographical indicator I could put on my Oregon-sourced Pinot label is "America." Wagner is in a fight with Oregon winemakers and politicians because he put the sources of his Oregon grapes for his Elouan brand—Willamette Valley, Rogue Valley and Umqua Valley—in the wine description on the cases he shipped the wine in. And for his other Oregon brand, sourced from Willamette grapes, he labeled the wine Oregon but named it Willametter Journal. Hint, hint. Did he go too far? That is for Oregon and federal authorities to decide. (You should read my colleague Augustus Weed's report on the fight.) Personally, I think Wagner got a little too cute with the rules, but I understand why. He has been a phenomenal success in this business not just by being a good vintner, but by knowing what consumers want and employing savvy marketing. (He helped create a small wine brand called Meiomi, which he sold to Constellation for approximately $300 million.) His salesmanship probably went too far here. He wants his brands to tell a story, and it was probably killing him that he couldn't detail where he sourced his grapes from. But let's talk about a larger issue here: Does it make sense that you can grow grapes in a particular appellation, but not use that appellation on your label if you made the wine in another state? After all, appellations are supposed to be about where grapes are grown—the geographical boundaries, the particular soils, the microclimate. That's what makes wine special—that it can seemingly speak of place. Does it matter where the grapes were turned into wine? My colleague Robert Taylor smartly brought up the issue of ambient yeast. Do you get Oregon yeast fermenting your wine if you take the grapes to California? Good question. However, I doubt it's what the TTB had in mind when they created these regulations. The rules seem a bit like protectionism for local vintners. Oregon wineries, both big and small, have been given an advantage over wineries in other states, big and small, who might want to buy Oregon fruit. But what if there is a human element to terroir? After all, would Burgundy be the same if the wines hadn't been made by the local people for centuries? Barolo and Barbaresco are made from the same grape, and the appellations are a short drive from one another, but the wines' character has been shaped by the two regions' different histories. Land can shape grapes; it can also shape people. Oregon's short wine history has been written by people who lived there and made wine there with a specific vision. As the wines become more popular, we've seen newcomers invest in the region, from places as far off as Burgundy and even—gasp—California. Sure, newcomers can buy grapes and rent space in a contract winery to make their wine. But they need to ground themselves, even part-time, in Oregon's soils. They need to be part of the community. And perhaps that is part of terroir. What do you think? Does terroir have a human element? I can't get to where you are trying to lead us. Wagner is going to make the wine that is trapped in the grapes, no matter where he makes it. If he moved his operation to Oregon, would he make a different wine from the same grapes, I don't think so. You could argue that the grapes traveling a greater distance, are reduced in quality, in some way. Maybe, maybe not, I don't know. I wonder...would he be able to call it whichever vineyard he sourced it from on the label if the wine was crushed and tanked in Oregon and then shipped to California to age in oak, be bottled, etc? An extreme example - zinfandel grapes were grown in Dry Creek Valley but the grapes were shipped to Fairbanks, Alaska for vinification. Should the finished wine be allowed to be labeled as a Dry Creek wine? Absolutely. The human element does the best (s)he can with the terroir element already provided by Mother Earth in the raw material, but the source of the raw material should trump all other considerations - period - end of story. made in " USA " . And was actually made in a foreign city named Usa , China. The Napa Valley Vintners Association has been very active in preventing deceptive advertising of wines attempting to capitalize on the equity winegrowers have built over the years in that AVA. Richard Mendelson has written “Appellation Napa Valley, Building and Protecting an American Treasure” detailing the many attempts to deceptively exploit the financial premium that has been created in the marketplace for Napa Valley AVA labeled wine. Consider checking out Origins.wine, an international organization dedicated to protecting the integrity of wine region names. While Oregon produced Pinot Noir, grown in the Willamette Valley AVA and labeled as such, has not reached Napa Valley Cabernet price premiums, there is a significant premium over Oregon designated Pinot Noirs - a packaging temptation some may not be able to resist? Neilsen scan data (national) for the 52 week period ending 7/14/18 shows the average prices in retail grocery of the top 25 Oregon Pinot Noirs sold at retail show those labeled with the Willamette Valley AVA earn an average of $26.04 per bottle where those labeled Oregon only achieve an average of $14.30. If you study the relative retail prices of Napa Valley Cabernets you find the same higher price premium over a “California” labeled Cabernet. It is illegal for an Oregon wine producer to truck in California grapes, some from the Napa Valley and deceptively advertise the resulting wine with the Napa Valley AVA designation. The use of an AVA designation on labels and advertising require certain wine making standards specific to the state. For example, federal law requires wine using an AVA wholly within a state, like the Willamette Valley, be made in the originating state so that state’s specific content standards can be enforced. In Oregon, the AVA content must be 95%, the Pinot Noir variety 90% and the state content must be 100%. California AVA and variety standards are lower. A technique used in making mass produced Pinot Noir in California is illegal in Oregon. A Gallo subsidiary makes a color and mouthfeel additive called Purple 8000 from the Rudired grape variety. Do we know who uses this additive? Sure you can label it as Willamette, if you know the proper loopholes! You just need to apply for a Certificate of Label Approval Exemption, put "vinted and bottled by" and "For Sale in Louisiana Only" on the label! Good to go! Just don't sell it outside of Louisiana! California famously ripped off France with their jug wines named after "Chablis" and "Burgundy" for cheap plunk. It looks like another rip off to me. Just another sales hook by a very rich man to get richer. 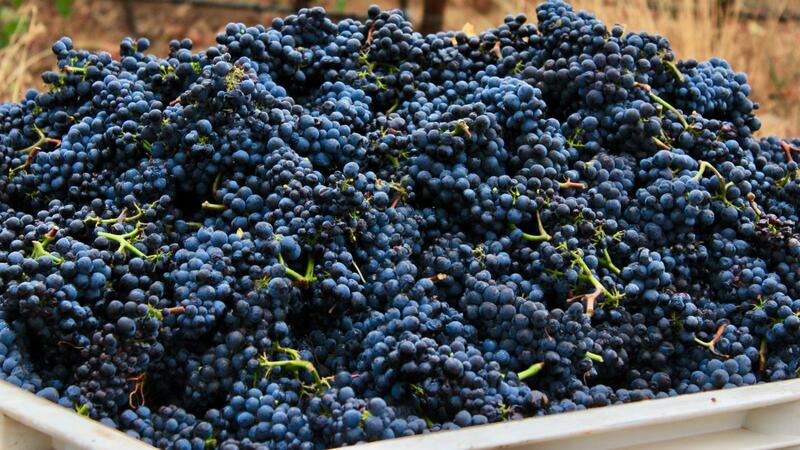 Want to make Oregon AVA specific Pinot Noir? Build an Oregon winery. He can certainly afford to.